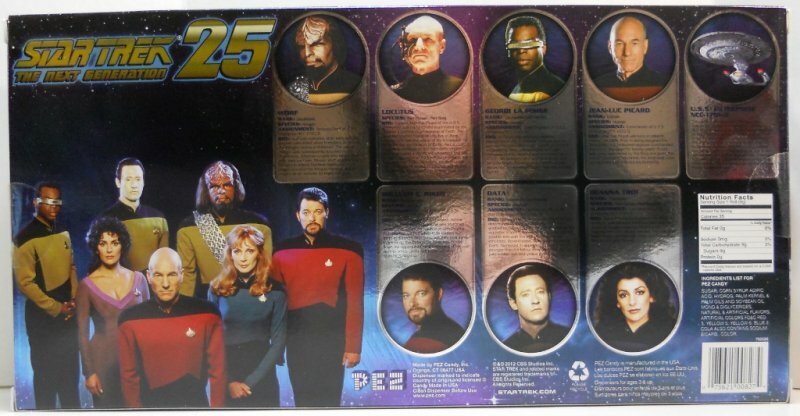 Pez Star Trek Next Generation 25th Anniversary Walmart Exclusive Set of 100,000 measures approximately 7 x 14 in and packaged in special plastic carrying case bearing an Official Pez Collector's Seal hologram guaranteeing authenticity. 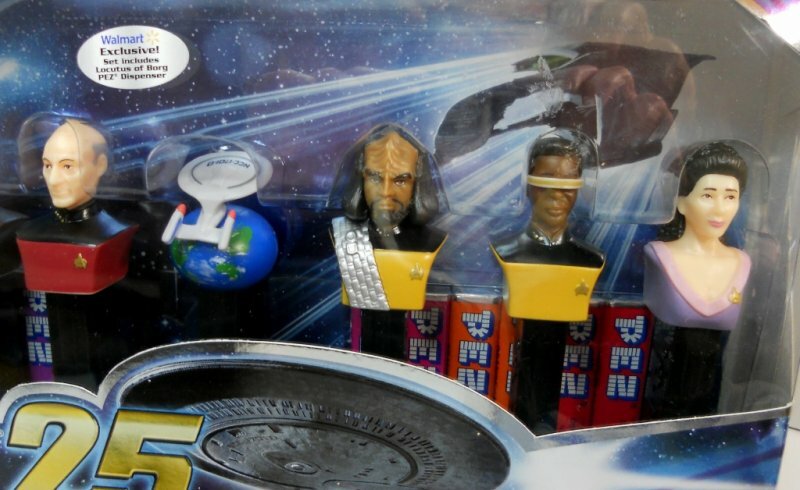 Each box consists Pez Dispensers of Data, La Forge, Picard, Locutus of Borg, Riker, World, Troi and a replica of the USS Enterprise D.
Measuring approximately 7" x 14" and packaged in special plastic carrying case bearing an Official Pez Collector's Seal hologram guaranteeing authenticity, each box consists Pez Dispensers representing Data, La Forge, Picard, Locutus of Borg, Riker, World, Troi as well as a replica of the USS Enterprise D, the flagship of the Starfleet built on Mars at the Utopia Planitia, proudly bearing it's registration number NCC-1701-D.
Each box also contains 12 packages of .29 oz. 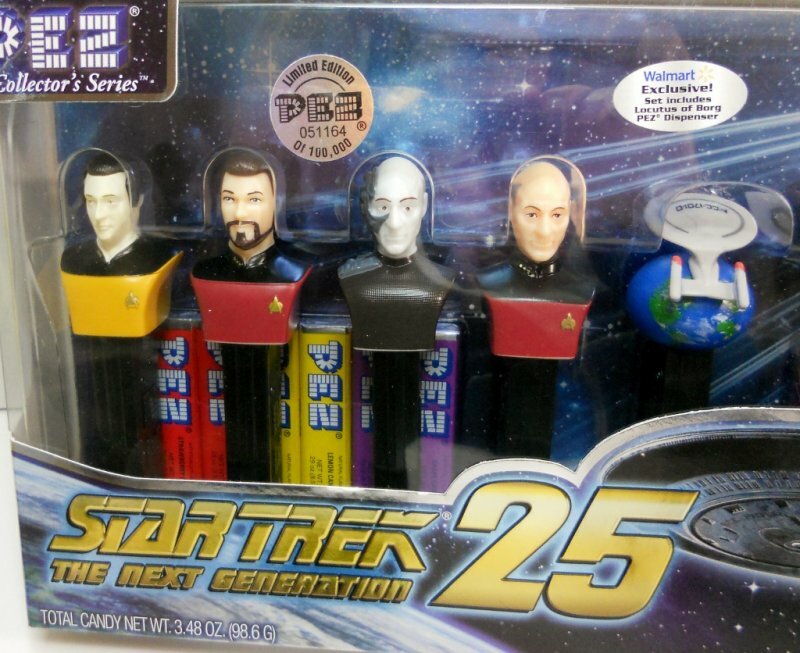 Assorted Pez Candy. 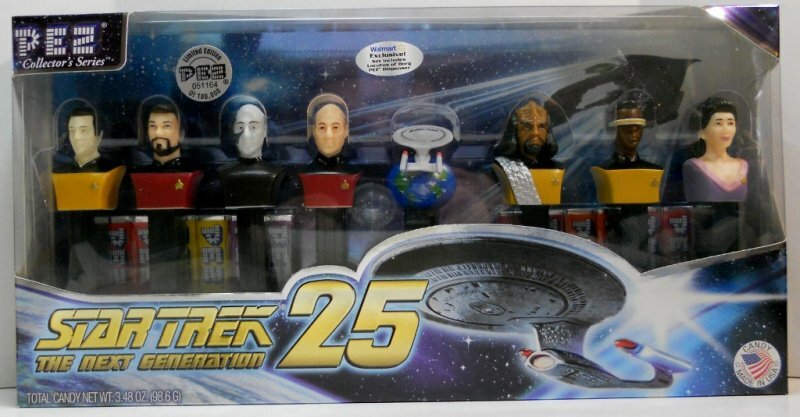 The Star Trek Next Generation 25th Anniversary Gift Set is a Limited Edition of only 100,000 units and sure to become a valuable part of any Star Trek Memorabilia collection.